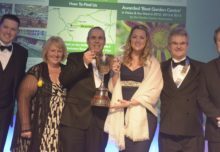 On Thursday July 26, Dorset’s most wildlife friendly gardeners were revealed at Castle Gardens in Sherborne during Dorset Wildlife Trust’s annual Wildlife Friendly Gardening Competition awards ceremony, sponsored by The Gardens Group. From a homeless hostel to a sculpture park, this year’s entries saw an unprecedented crop of contenders, featuring all shapes and sizes of gardens including the smallest of courtyards and the most striking of meadows. 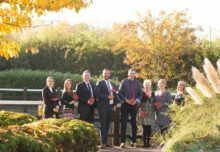 A new innovation award was also introduced for 2018, to encourage gardeners to share their inventive and environmentally friendly ways of welcoming wildlife into their gardens. Before the awards were announced, one of Britain’s leading plantsmen, Neil Lucas, inspired the audience with a talk on the relationship between our gardens and the animal life within them. The RHS council member and author of Designing with Grasses dug into his personal experience, uncovering how his naturalistic planting style led him to establish the Knoll Gardens Foundation, supporting sustainable gardening that is welcoming to wildlife. 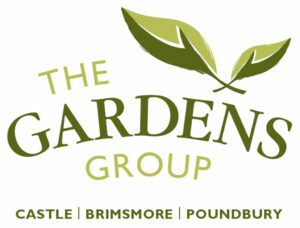 The Gardens Group managing director Mike Burks explained: “With every new year we see a higher standard of wildlife friendly gardening on display, and it is a great privilege to judge these havens and visit the much-needed corridors being created for the county’s wildlife. Get on board with Garden Re-Leaf Day 2014!